I've grown up to be a really big boy who is super cute! I may be very quirky but I'm like a big teddy bear. We've got kittens in the house right now and I have the best time with them. They just play and bounce right off me. I still live with my mom Olivia but she's doing her best to make sure I become an independent boy. We live with other cats and dogs and I get along with everyone. I don't like being held much but I sure do love to roll on the bed, desk top or floor and be loved on. I also love any kind of toy and am told I'm pretty athletic, even for my size! Did I mention I'm super cute? Consider adding me to your family today. I'm well over 14 lbs now but still a baby. Click on my picture to see more of me. Hi there. My name is Kelli and I want to be in your lap or sleep on your chest. I love my people and want to help you write emails, brush your teeth and anything else as long as I can be close to you. I am a Manx as are my siblings, Charley and Sabrina. I'd love to be adopted with one of them but as long as I have my person I will be happy. 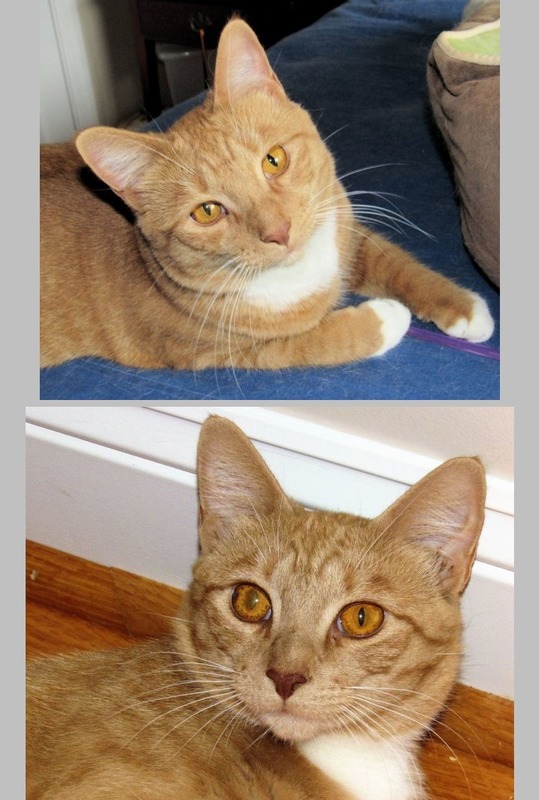 We Manx are friendly, affectionate and relaxed companions -- easy felines to share a home with. We are a little dog-like -- we may even play fetch and follow our people around. Our hind legs tend to be longer than our front legs so we have a slightly arched back. 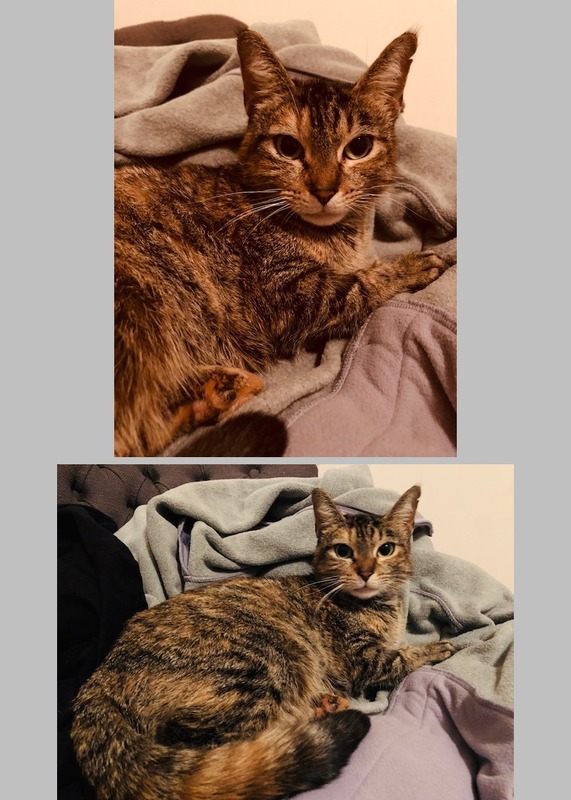 I am not completely tailless but my sister Sabrina and I have shorter tails and are somewhere between a "rumpy riser" and a "stumpy." Our brother, Charley, is a "stumpy" since he has several vertebrate. Legend has it that we were the last animal on the Ark and when the door shut behind us it got our tail! Another version has it that Noah's dog is responsible for the loss of our tails. And another is that the Vikings considered our tails to be good luck charms so our mom-cats bit them off to save us the indignity. Geneticists have determined that taillessness occurred as the result of spontaneous mutation. Hello, my name is Charley. I am a Manx and a fun loving guy. I am kind of "in charge" altho my sisters are always up for a good time. I love my siblings Kelli and Sabrina and hope to be adopted with one of them. 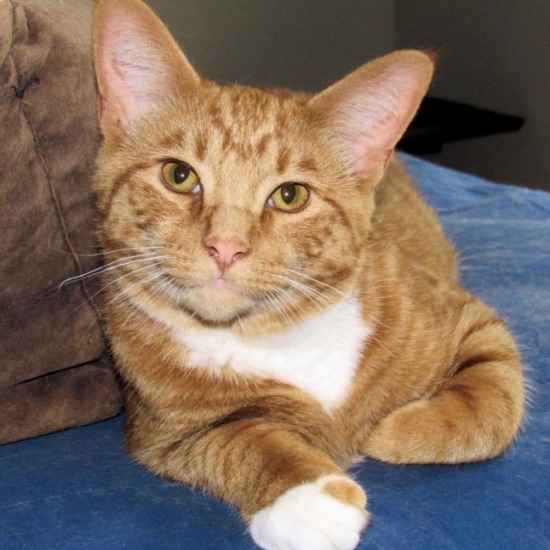 We Manx are friendly, affectionate and relaxed companions -- easy felines to share a home with. We are a little dog-like -- we may even play fetch and follow our people around. Our hind legs tend to be longer than our front legs so we have a slightly arched back. I am not completely tailless but have several vertebrate so I am called a "stumpy." My sisters have shorter tails and are somewhere between "rumpy risers" and "stumpies." Legend has it that we were the last animal on the Ark and when the door shut behind us it got our tail! Another version has it that Noah's dog is responsible for the loss of our tails. And another is that the Vikings considered our tails to be good luck charms so our mom-cats bit them off to save us the indignity. Geneticists have determined that taillessness occurred as the result of spontaneous mutation. I am neutered, microchipped and up to date on all vaccines. Hello, my name is Sabrina. I am a Manx and a fun loving gal. I am a little quirky. I will dash across the room, stop midway and fall over on my side (like one of those fainting goats) and look at you as if to say, "So?" I love my siblings Kelli and Charley and hope to be adopted with one of them. 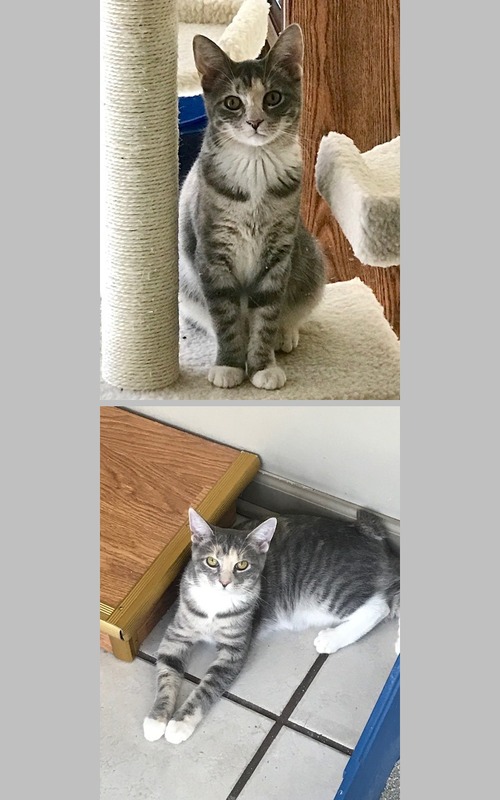 We Manx are friendly, affectionate and relaxed companions -- easy felines to share a home with. We are a little dog-like -- we may even play fetch and follow our people around. Our hind legs tend to be longer than our front legs so we have a slightly arched back. I am not completely tailless but have a vertebrate or two so I am called a "rumpy riser." My sister, Kelli, also has a shorter tail and is somewhere between a "rumpy riser" and a "stumpy." My brother, Charley is technically a "stumpy." Legend has it that we were the last animal on the Ark and when the door shut behind us it got our tail! Another version has it that Noah's dog is responsible for the loss of our tails. And another is that the Vikings considered our tails to be good luck charms so our mom-cats bit them off to save us the indignity. Geneticists have determined that taillessness occurred as the result of spontaneous mutation. I am spayed, microchipped and up to date on all vaccines. Sweet Foxy. This girl is about two years old and was found as a stray with her kitten. While her kitten was adopted, she was left at the shelter waiting for her turn. Well, her lucky day came when she went to the vet to get spayed. She was just so sweet, affectionate and loved human attention, they knew they had to get her into a foster home. 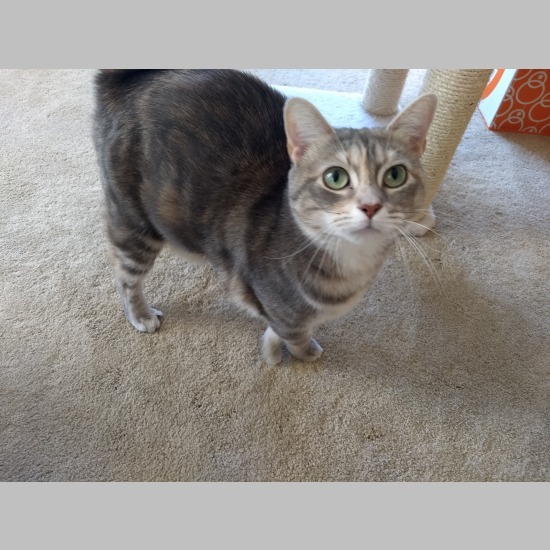 Foxy adjusted very fast her in her foster home with 4 other cats and two dogs. 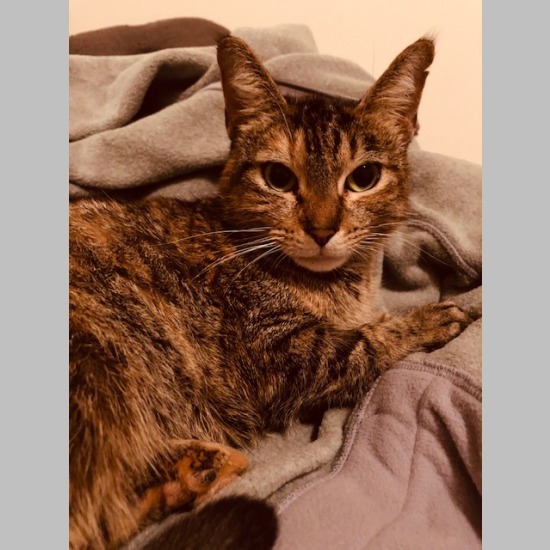 While she lives in harmony with the animal family, she seems to be ok on her own as well and could do ok in a household as an only animal. Just give her a place to lay in the sun, some treats occasionally, a window to watch the birds and lots of petting and attention and she will be content and you will be in love. Foxy is spayed and up to date on her vaccines. Sweet Foxy! 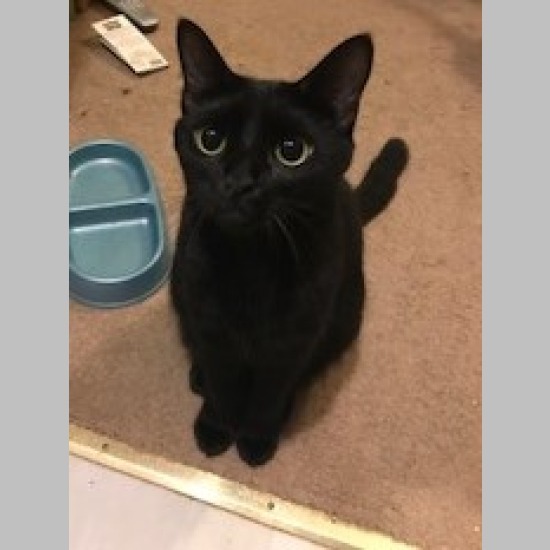 My name is Vee, and I have such silky, shiny fur that you won't be able to resist petting me. Some people might describe me as shy, but I like to think of myself as discerning. I am also very sweet and very quiet. Unless making noise playing with my siblings, you might not even realize I'm nearby until you find me using your foot to rub my chin. I love to be petted and combed, and being a youngster, I love to play. I'm learning to fetch, and my foster parents will tell you all about my favorite toys. In addition to my overall adorableness, I make cute little chirping noises that are certain to make you smile. Be sure to look at my other photos, but know that they do not do me justice. In person, I am much shinier and much cuter, if I do say so myself. My foster parents say so too, by the way, and they are not at all biased. As to my background, my siblings and I were born among a colony of cats living outdoors that is being looked after by a couple of very nice humans. While trying to get members of the colony spayed or neutered, the humans scooped us up and helped us become indoor-only kitties. The humans are now our foster parents, and although they love us and will be sad to see us go, they will be thrilled to see us settled in loving, forever homes. There are kittens, grown-up kitties, and a very mellow little dog in my foster home, and I am comfortable with all of them. I'm accustomed to having kittens and two humans as my companions, and I'd be very lonely if I didn't have someone to pet me and play with me throughout the day. I am spayed, microchipped, and up to date on my vaccines, including rabies. I'm a very cute, playful and sweet boy! Sometimes I get so happy and when I don't want you to stop petting me I start chirping at you! Works every time! Also, my tail is so cool. It wiggles around and then I pounce and chase it! I'm also not sure if I'm supposed to eat or groom it so I'll do both. I love to tunnel into blankets and sleep underneath them with someone's arms around me! Sometimes I poke my nose out so I can give kisses. 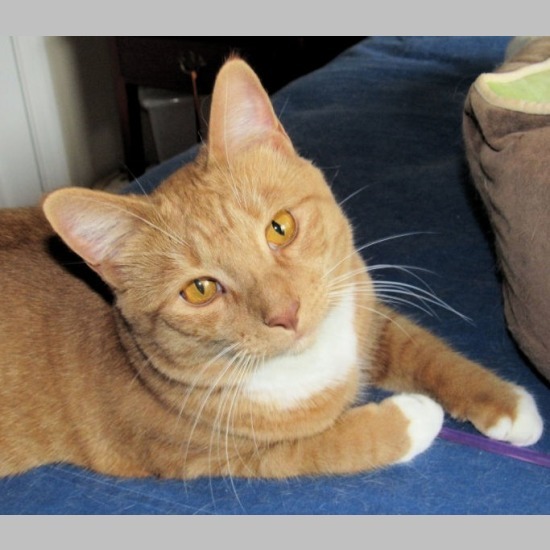 Sport is a giant sweet heart who is a great nap & lap companion and will entertain you for hours with his antics. He loves other cats and needs another active cat that can keep up with his energy. He may even do well with a friendly dog for company! Thurmina is a charmer! She loves roughhousing with her siblings, snuggling up with the foster pup, stealing his bed and loves giving head boops and rubs to her foster mom and dad. This little darling is very social and would love an indoor home with a furever family of her very own. 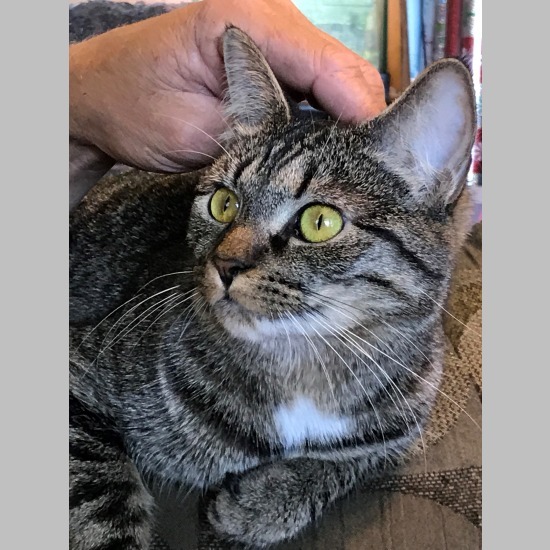 She would do well with another cat to play and interact with, and would even enjoy the company of a kitty loving pooch. Thurmina and siblings were born to a feral mama under their foster parent's shed and were dug out from under the building once mama was trapped, when the kittens were 2 weeks old. So, they have grown up surrounded by people and dogs. Children in the household should be at least 6 and older. Thurmina has beautiful velvety soft, smokey colored fur and stunning topaz eyes. 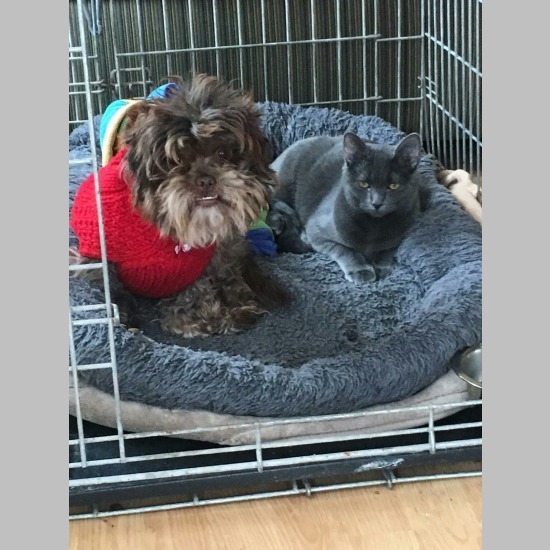 Very social and enjoys interacting and playing with friendly cats and pooches. Amelia was named after the famous adventurer Amelia Earhart. Amelia has been curious and adventurous since 3-4 weeks old. She loves to explore, loves playing with her siblings and especially enjoys chasing "Da Bird" toy around the house. She would do well with another playful cat and even a kitty loving pooch as companions. Once Amelia's energy has ran out, you can find her on the back of the sofa behind your head, in your lap for snuggle time or lounging on her kitty condo. Amelia has the softest, sleekest looking fur, which glistens beautifully in the sun. She also has the most meltingly huge liquid eyes, which you can simply get lost in. Amelia will need an indoor only home and all children must be 6 yrs and older. Amelia is adventurous just like her namesake! 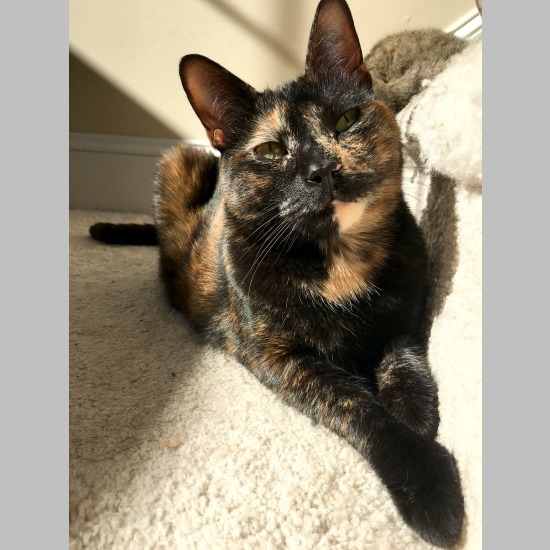 Lillie is a typical tortie with the Tortitude that comes with it! Funny and outgoing (she may hide from strangers for the first 10 minutes, but she won't be able to resist coming out), her favorite thing is to run in front of you and flop over on her back and roll around. Her stomach may look irresistibly soft and squishy but please do not touch! This girl likes back and chin scratches and has silky soft fur. She loves her sister Lila, friendly dogs and confident cats. And would of course love you (though she may need some time before deciding someone is worthy of her fabulous self). Hi, I'm Tux! And I'm back! Last time I was on the website, my caregiver wrote how much I play, play, play. Well, I played too hard with some kittens and ended up breaking my leg on a large, indoor Ficus tree! The great surgeon at Quartet fixed me up though and like I said, I'm back! I'm told I've been a great patient. During my rehab., I learned to wear a harness and walk on a leash around the house. At first I was mortified but now it's pretty cool. I hear I look rather dashing in the flannel red plaid harness, what do you think? I'm still considered Mr. Congeniality around the house because I get along so well with everyone. From kittens, big kitties, old cats, little dogs, big dogs and old dogs too, everyone's great to me. I pretty much love everyone and everything! I would love to be adopted into a home with another kitty or cat loving dog. It'd be great too if the people are around a lot because I especially like to follow them around and see what they are getting into during the day. I would love to help you with your chores and be your personal assistant. Hi, I'm one of four boys. I was named Possum because I had a lot of white tinges on my fur when I was a baby. Who knows, my fur will probably keep changing. The CARE ladies took my mom Lady and me and my brothers from the shelter right before a big storm blew through the area! We didn't know a thing about it since our eyes weren't even open. We're always told what awesome kittens we are, so polite and well mannered. Boy, if only they knew what we get into at night! Nah, just kidding. They also say I'm the smart one and oh so sweet. Not sure what that means but I like people a lot. My best bud since I was about 4 weeks old is Sly. We're always playing and have the best time together. Our other two brothers were adopted together and we're really hoping we'll be adopted together soon. They say it's always best to adopt young kitties in pairs and we're still very young boys. Sly and I get along with the big kitties and the dogs in the house. We love humans and like curling up in their laps. Sly and I are the perfect pair to adopt! Super sweet, loves to be held like a baby and be close to you. My name is Sly. They tell me I'm very handsome but my caregivers just can't seem to capture my "handsomeness" on the camera. And boy have they tried! I look a lot like my gorgeous mom Lady who was just adopted by a great lady and her finance. Our brothers have been adopted too so it's just me and Possum now. Possum is my best buddy in the world! We run up and down the stairs, up and down the cat trees, play in the bathtub... shoot, we'll even play with a piece of paper left on the floor. Like our brothers' adopters said, who needs Netflix or TV when you have live kitty movies in action all the day. We do sleep though so you don't have to worry about constant TV being left on. We need to recharge so we can go right back to our antics. I'm still a baby which I'll talk to you about at least 3 or 4 times a day so I need to be adopted with my brother Possum. 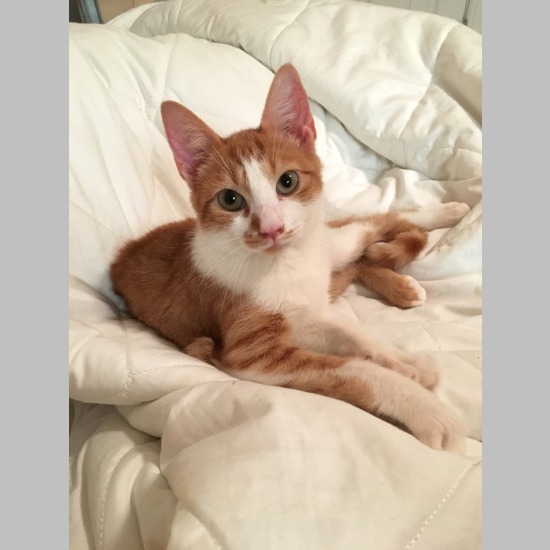 Crazy, very playful, will make you laugh with his antics! Angel is such a beauty! With her coat, she will grow up and become a gorgeous adult! Angel is a very unassuming girl, yet spunky too, and gets along extremely well with kitties of all ages and dogs. Angel came from the animal shelter prior to the hurricane and is concentrating on growing up. She's much prettier in person than what can be captured on film. Angel will make a delightful addition to your family. Dennis is an absolutely stunning adolescent. 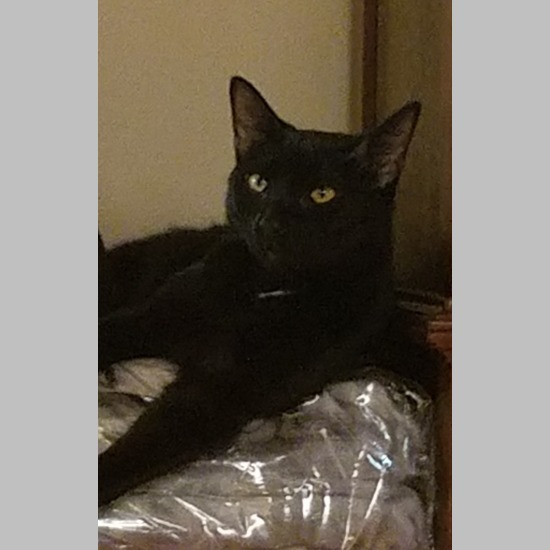 Pictures don't do him justice, you have to see his sleek, confident panther strut, and feel his thick shiny coat in person. He is also full of personality and such a good buddy. 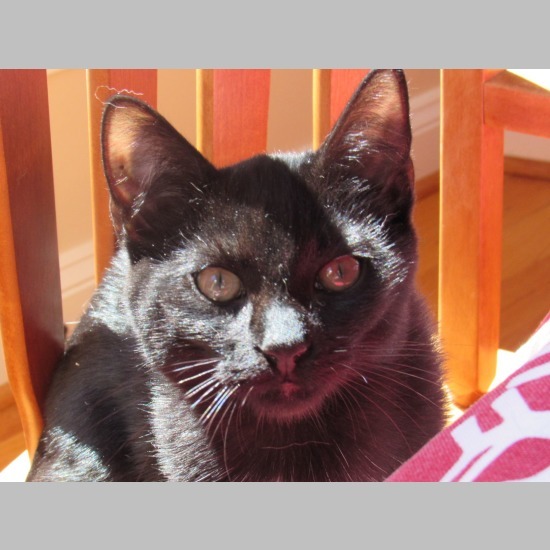 Dennis gets along great with the big cats, kittens and dogs in his foster home. He would really, really love his very own home where he gets lots of attention and always has a lap to claim to be his very own. 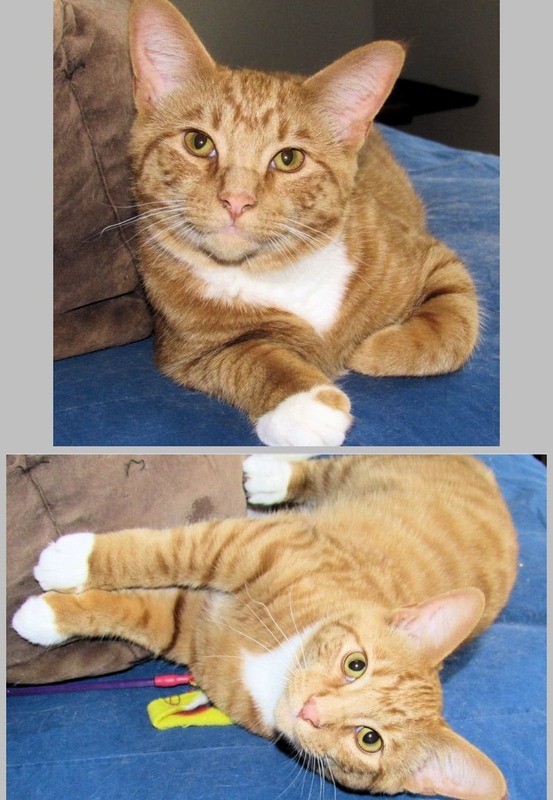 Dennis is FIV/FeLv negative, up to date on shots, including rabies, neutered and microchipped. Hi, my name is Cleopatra (Cleo for short) and I'm looking for my forever home. 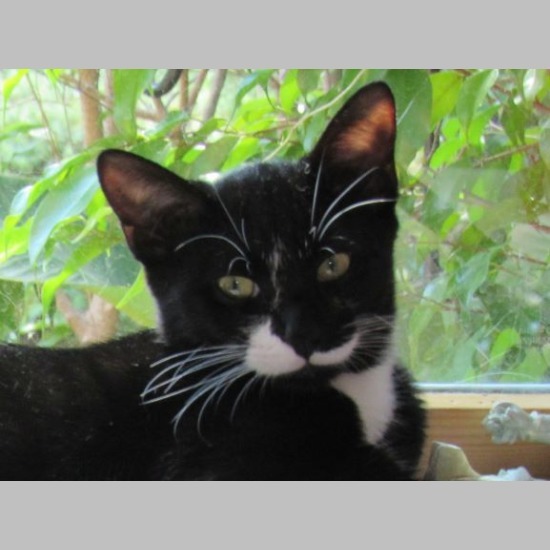 I'm a talkative, inquisitive young cat with plenty of energy for playing and exploring! I come say hi whenever someone comes home for a headbutt and some skritches. My favorite is when toys are just out of sight so I can pounce on them, or when someone throws pingpong balls for me to chase until my ears turn pink and I have to lie down! My foster mom thinks it's funny that I make so many noises, especially when I get a little bit frustrated playing or give out a battle cry when I'm chasing a thrown toy. I like being near people, normally just close enough that they need to stretch to pet me. I'll come cuddle on laps, but only on special occasions so that people keep appreciating me! I might look a bit funny because I got fat at my last home. I lost the weight, but now I've got piles of skin swinging around when I run. My foster mom seems to think that's funny too! I know there's someone out there who will look past it to appreciate my cute little face and entertaining personality and take me home for good! See linked album for more pics, including a gif of Cleo saying hi! If you are looking for a precious gem to add to your home, then you have found the right gal. I'm Jasper and my favorite things are snuggling in bed with my foster parents (day and night), playing with my siblings, sitting in the window and watching the birds, and lazing around in bed. If my brothers are getting attention, I will push them out of the way so I can get more pets. I prefer not to be held but would love to hang out with you in bed or on the couch (being petted of course). I am shy and prefer a mellow household. 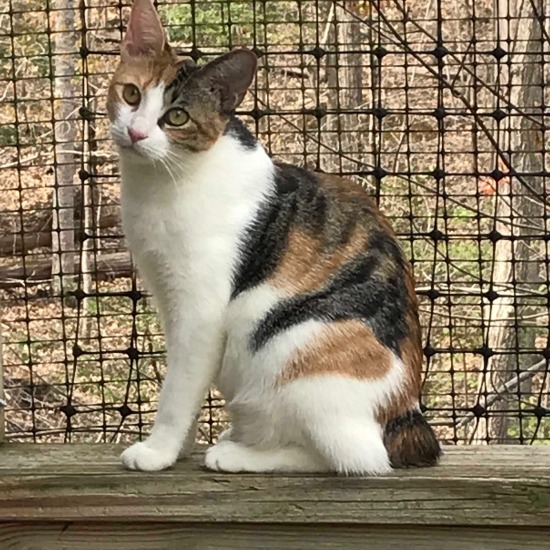 My mom was a feral cat living in Pittsboro by the BoJangles and that is where the folks at CARE found me. Me and my brothers have lived with our foster family which includes dogs, other cats, and even a turtle. As I'm working on building my confidence a home with experienced cat people and no children under 10 would be my perfect furever home. I would love to be adopted with one of my brothers and start the new year in our furever home. If you are looking for a noble gemstone then you've come to the right furbaby. 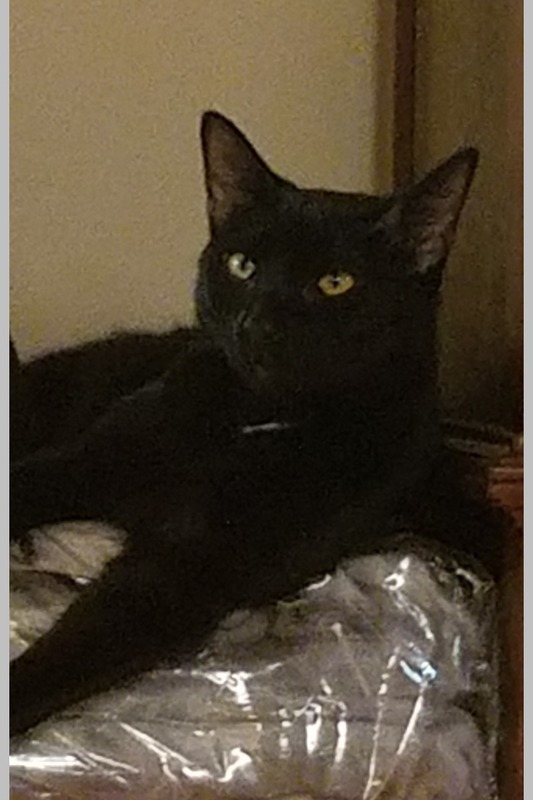 My name is Onyx and I was named for the gemstone because of my satiny black coat. Hanging out on the back of the couch in the evenings watching TV is one of my favorite past times next to getting attention. When I get really relaxed, my little pink tongue sticks out, quite a contrast to my black coat. Sitting in the window or playing with the other cats in the house is how I spend most of my time. I am outgoing but prefer a mellow household. My mom was a feral cat living in Pittsboro by the BoJangles and that is where the folks at CARE found me. Me and my brother and sister have lived with our foster family which includes dogs, other cats, and even a turtle. 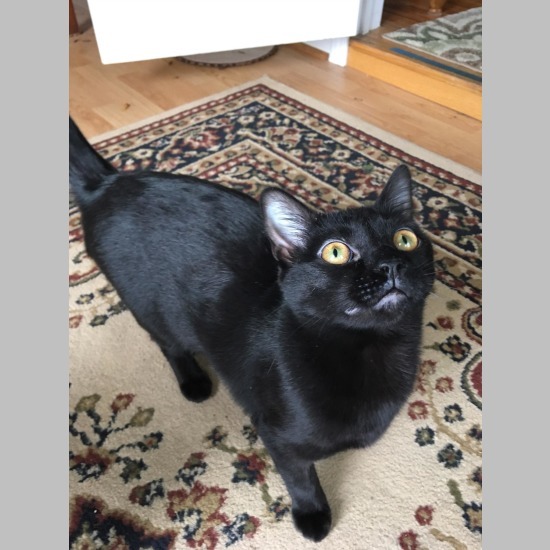 At times I can be a bit nervous so a home with experienced cat people and no children under 10 would be my perfect furever home. 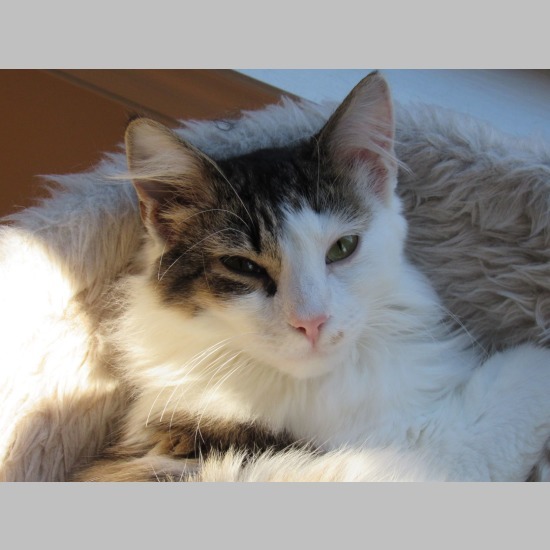 I would love to be adopted with one of my siblings and start the new year in our new home. My name is Jet and I'm a diamond in the rough. I'm the shyest of my siblings and like Jasper, I am a great bed buddy and love attention in the mornings and at night. I love to play with the other cats in the house and Maggie, the big dog, is my favorite to rub up against. My newest trick is to rub my face on my foster mom and sister and I've even kissed them. I am shy and prefer a mellow household. 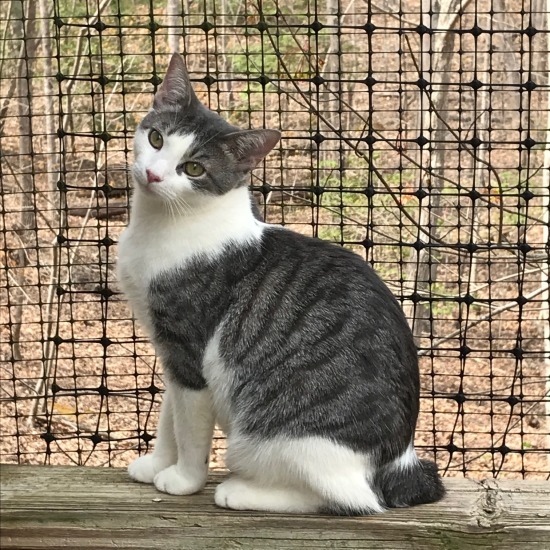 My mom was a feral cat living in Pittsboro by the BoJangles and that is where the folks at CARE found me. While living at BoJangles, I broke my leg so I have a little limp and sit with my leg straight out. The Vet lady said my leg didn't heal right but that doesn't stop me from running, jumping, or climbing my cat tree. Me and my brother and sister have lived with our foster family which includes dogs, other cats, and even a turtle. As I am still working on my confidence around new people a home with experienced cat people and no children under 10 would be my perfect furever home. 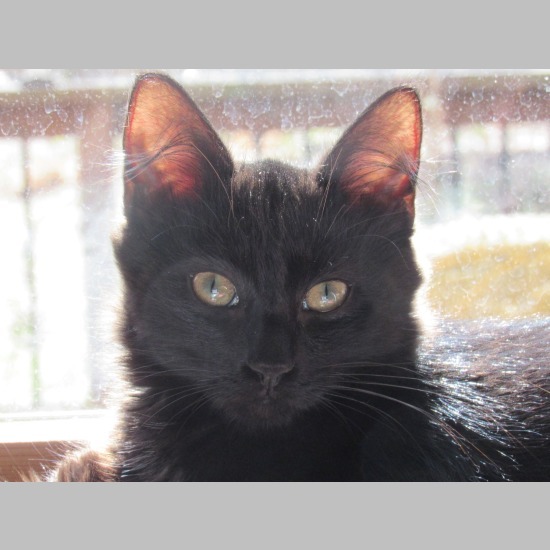 I would love to be adopted with one of my siblings and start the new year in our new home. 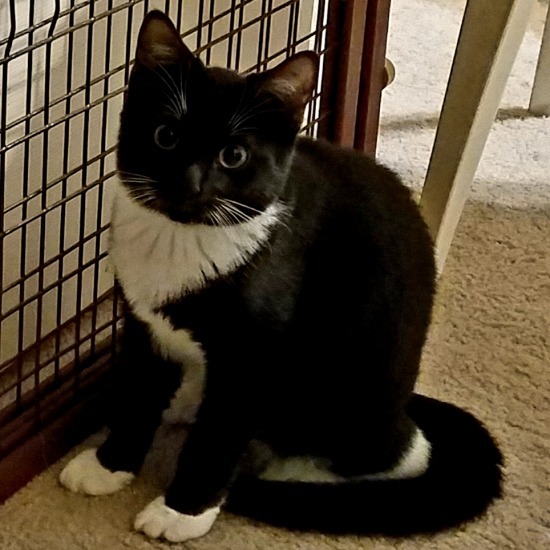 Olivia is a spunky, young adult kitty. 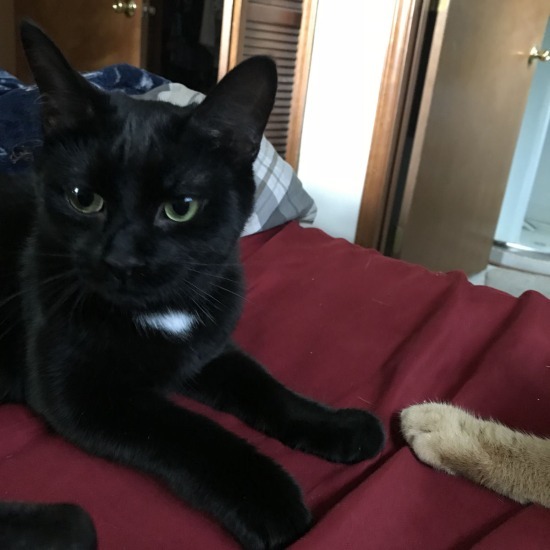 She is very affectionate, loves to give kisses and be adored. Olivia enjoys interactive games and being brushed. She is an excellent desktop computer assistant! She'll inspire you by sitting off to your side, purring away. Olivia is great with other kitties and dogs. 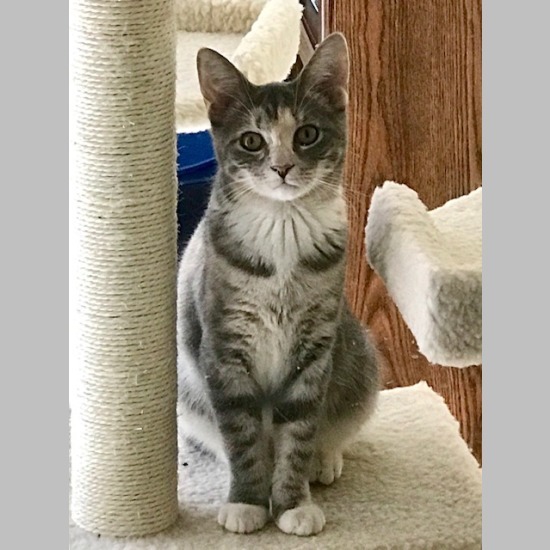 She is the perfect kitty to add to your family today. Super sweet, humble and very respectful of all.